Mr. 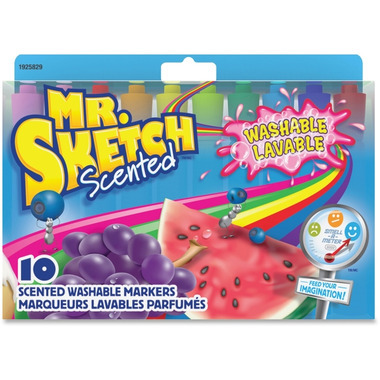 Sketch Scented Washable Markers feature a washable formula to make colouring more fun for children. Each bold, vibrant colour comes with its own fun scent. The multi-use chisel tip is perfect for creating fine, medium or broad lines. These markers are safe for children over 3 years of age.